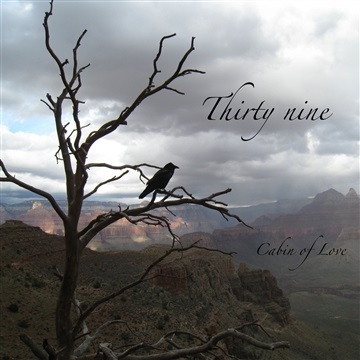 Cabin of Love is Julia and Nathan Bloom, an acoustic duo in Saint Paul, Minnesota. Since 1998, these lovers have performed in coffee shops and breweries, living rooms, city parks, church gatherings, benefit concerts, backyards, campfires, a county fair, a soup kitchen, a 10k race, a 5k walk, and any other soapbox they are offered. The Blooms released their first full-length album, firstfruits, in 1998, and their second, Thirty Nine, in 2014 (because good things take time! ); and Julia Bloom has released two solo projects, A Human Called Woman in 2005, and a holiday EP, Halo in the Frost, in 2013. Nathan and Julia live at home with their two children and one dog, where they love to co-create – especially music, meals, and useful beautiful spaces.